Henry moved from Vermont to South Carolina to attend Clemson University on a full academic scholarship as National Merit Scholar and high school valedictorian. He completed a one year cooperative education program and graduated from Clemson with a B.S. in computer engineering and minor in mathematics. He earned his Engineer in Training certificate and started a master's degree at Clemson as a graduate teaching assistant in Electrical and Computer Engineering but decided to become a chiropractor after chiropractic care helped him recover from an injury. Henry graduated from Sherman College of Chiropractic at the top of his class. 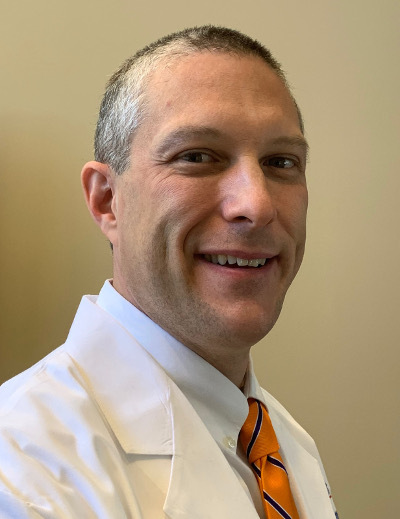 He opened his practice in Greenville in 2006 and has since helped bring pain relief and improved quality of life to thousands of patients in the Greenville / Spartanburg area. It is not uncommon for patients to travel from surrounding areas to receive Dr. Henry's care. He expanded his practice with a new office on Pelham Road in 2012 and offers innovative therapies for the drugless, non-surgical care of neck and back pain. Dr. Henry was awarded "Chiropractor of the Year" in 2012 by Concierge Coaches, a national consulting firm for chiropractic / integrated medical practices. In 2014 Dr. Henry was selected as a board member for the International Medical Advisory Board for Spinal Decompression. Dr. Henry's research has been published in peer-reviewed journals and he has been a guest speaker at chiropractic colleges. Dr. Henry is married with two children. He is a member at Riverside Baptist Church. He is a Past Master of St. Johns Lodge and is a member of York Rite, Scottish Rite, and Hejaz Shrine. Henry has over 20 years of fitness and martial arts experience. He served as President of the Clemson University Taekwondo Club. He holds black belts in taekwondo, karate, judo, and Brazilian Jiu-Jitsu (Alliance Team). He also likes to cook. Contributing author, "Neck Pain, Neck Pain: Why Your Neck Hurts and What You Can Do About It"
Henry L. Chiropractic Management of Postpartum Pubic Symphysis Diastasis: A Case Report. Journal of the Canadian Chiropractic Association. 2015 Mar;59(1):30-6. © Copyright (c) Henry Chiropractic Clinic, LLC, All Rights Reserved.